News and Noteworthy – Beechmont Players, Inc.
We have a lot of fun stuff coming up over the next few weeks! BPI is excerpting When We Are Married at OCTA on Friday June 22 at 7:30 at Parrish Auditorium (Miami University Hamilton)1601 University Boulevard, Hamilton, Ohio 45011. Come and cheer us on! Come and march with us in the Fourth of July Parade on Beechmont Avenue on (appropriately enough) the morning of Wednesday, July 4th. We’ll be marching in the parade and handing out flyers for the summer show, The Canterville Ghost. We can really use your help—there are a lot of people lining the route and we want to invite each and every one of them to the show! Call or email Steve Phelan if you’re willing to march with us– Steve (at) BeechmontPlayers (dot) org, or (513) 240-9845. Season ticket flyers have been mailed and are starting to come in. If you did not get a season ticket order form, you can still get season tickets by calling 513-233-2468. The nice ticket lady will be happy to help you! A family friendly ghost story adapted from the comic master Oscar Wilde about an American family who buys an English manor, ghost and all! A baffling mystery that was an audience favorite at the First International Mystery Festival in 2007. In a peaceful house near the Welsh border, an entire family has vanished suddenly without a trace and with supper on the table and with no apparent violence. Inspector Ruffing must solve the mystery while contending with his own demons. Widdershins is presented by special arrangement with Samuel French, Inc. The holiday classic comes to life as a live 1940s radio broadcast, complete with vintage commercials for fruitcake, and the magic of live sound effects and musical underscoring. A Christmas Carol, a Live Radio Play is presented by special arrangement with Playscripts, Inc.
Daddy’s little girl is getting married. What could go wrong?? Father of the Bride is presented by special arrangement with Dramatists Play Service, Inc. The heartwarming story of the family who runs the neighborhood tavern, and lives above the bar to boot. 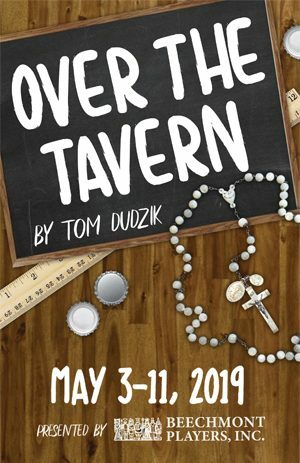 Told primarily through the eyes of the young teen son, we see a slice of life in the Catholic Buffalo New York in the 1950’s. 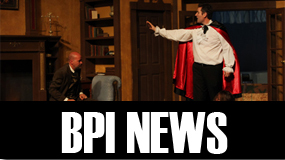 BPI presents its shows at the Anderson Center Theatre (7850 Five Mile Road, Cincinnati, Ohio 45230). Season ticket sales information will be released at a later date. 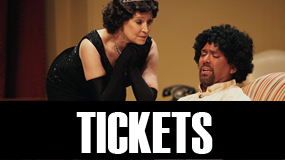 To buy tickets or learn more information about BPI, visit www.beechmontplayers.org or call 513-233-2468. The holiday story that everyone loves, shown as a radio play. Go behind the scenes and watch how radio plays were presented before television. It’s A Wonderful Life, the Radio Play is presented by special arrangement with Playscripts, Inc.